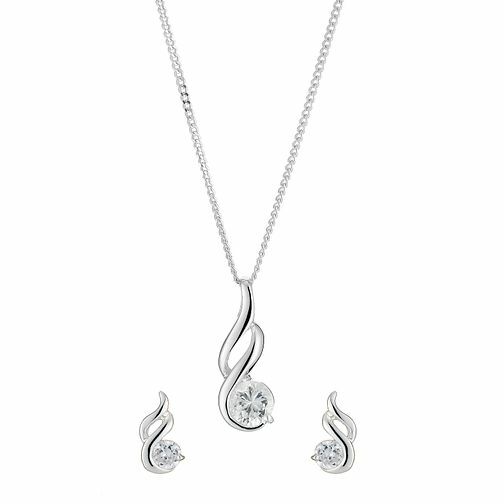 Sterling Silver Cubic Zirconia Fancy Pendant and Earrings is rated 5.0 out of 5 by 9. Rated 5 out of 5 by Anonymous from Excellent quality! Bought this matching set for my girlfriend. She absolutely loves them. Great quality for a great price. 10/10 would recommend. Rated 5 out of 5 by Anonymous from Beautifully Classy I have bought this for my daughter to wear on her wedding day. It is a beautiful piece of jewellery. The only downside is that the earings are smaller than I thought.